So you’re in the gym, training hard, working out so much that you’re bound to lose weight and get that New year, New You figure in no time right? THINK AGAIN! Overtraining in the gym can in-fact damage your body from the inside out when it comes to CV or cardiovascular training in the gym. In my 18 years of being a personal trainer I see so many people get it wrong when it comes to working out and trying to lose fat by overdoing it on the stepper or treadmill for example is seriously damaging your body inside, mainly because of the cortisol in your body – secreted by the adrenal glands and commonly known as the stress hormone. Cortisol is at its highest at around 8 am and naturally gets lower throughout the day, so by taking part in cv or cardiovascular training too late at night is very bad for the body as you need to keep tapping into the Adrenal glands for it to produce more Cortisol – The later you work out, the more work the Adrenal glands have to do and this, in turn, results in fat storage around the belly button area. As a woman gets older, their hormones get lower and result in a loss of bone and muscle mass, during the menstrual cycle, protein is also lost, a huge reason why women should stick to weight training whilst in the gym – to keep hormones healthy. I am asked time and time again, ‘If I weight train, will I not end up with too many muscles and look like a man!? NO NO NO, men have 10% more testosterone so for a woman to get this big is impossible unless you’re genetically made up that way. 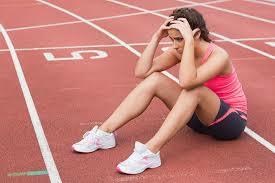 Muscle will keep burning fat 72 hrs after the weight works out and will keep cortisol and adrenal stress low. If we look at Madonna, she regularly weights trains to keep her Hormones heathy and dose a lot of yoga to keep flexible and spiritual. she runs too, but only to get out the in fresh air .she looks great for her age! how many of you would like to look that good at her age?. Hormone Imbalance is a key factor to consider whilst working out and for a woman that like to stay lean and lose fat. I have found the bad diet, bad training and stress can Imbalance your hormones in the body and I would highly recommend anyone and everyone to get a hormone test done! This is something I do with all my clients because if for example, you have Adrenal Fatigue, it will make it so much harder to lose fat and achieve your weight loss goals. Arenal Glands are responsible for every major function in your body, like fats and protein, metabolism, detox capacity and thyroid function, so the harder you train the more stress you put on the body which will cause Adrenal fatigue which won’t allow you to squeeze into that bikini! Eat for your metabolic type. Balance cardiovascular & resistance training. Avoid eating big meals late at night. See Master C.H.E.K. Practitioner – we have to train and study for a minimum of 6 years (unlike Personal trainers who only need 1-6 weeks to qualify) We know the body inside and out.! If you are struggling to lose weight or would like to hear more about any of the subjects mentioned above, please contact Scott.